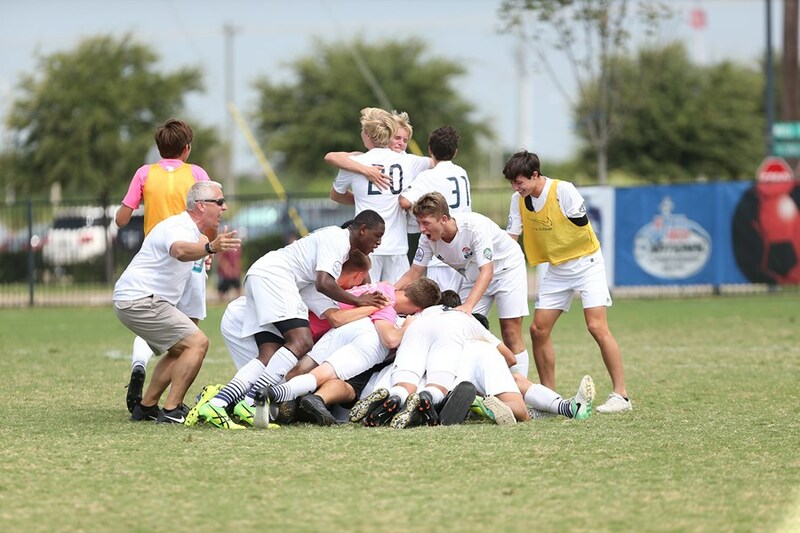 After losing its first game at the 2017 National Championships, Tampa Bay United (FL) bounced back to win four straight games to claim the 16U Boys US Youth Soccer National Championship crown. The Florida side is now back and hoping to repeat last year’s success. It was a long road for Tampa Bay United on its path to the 2017 National Championships. In the team’s 13U and 14U years, the team just missed out on trips to Nationals as it lost in close games in both the Southern Regional Championships final and then the semifinals the following year – both to the same team. Tampa made its return to Regionals in 2017 and used it as its launch pad to the National Championships. 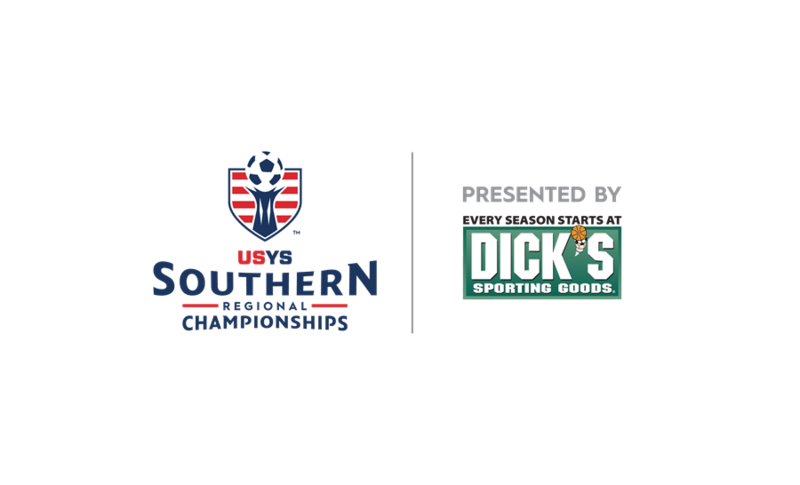 The Florida side won five consecutive games to advance to the final where it defeated Solar 01 Sawyer (TX-N), 4-0, to punch its ticket to the National Championships. It is a long process to make it to the National Championships, let alone Regionals. By the time teams make it out of State Cup, they are either worn down or battle tested. Three of Tampa Bay United keys to success have been: love to train, play your hardest and put the team first. Love of training is something that Tampa Bay United head coach Kelvin Jones said sets his team apart and keeps them going through the rigors of the National Championship Series. 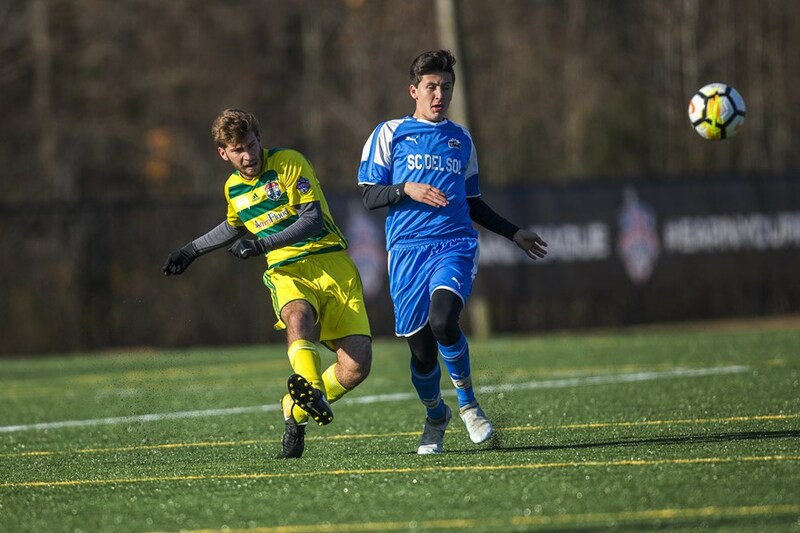 After winning Florida State Cup and Regionals, Tampa Bay finally headed to the US Youth Soccer National Championships where it lost its first match, 2-1, to CUP Gold 01 (OH-S) after going up early in the first half. Tampa Bay ended up winning its next three matches – by just one goal each – to pave its way into the National Championship final match against WCFC Armour 2001 (CA-S). After a scoreless first half against WCFC Armour, the back-and-forth play continued until the deadlock finally broke in the 79th minute of play. Tampa Bay earned a corner kick and Robert Soronellas whipped a ball in and found Nicholas Scargle. Scargle rose up above the West Coast defense to knock in his chance for the game winning goal. The feeling was mutual among all the players as the celebration carried on all the way back to Florida. After winning the 16U Boys National Championship, Tampa Bay punched its ticket back to Nationals after winning the US Youth Soccer National League Black Division with a 4-0-2 record. In true Tampa Bay fashion, each game was close as Tampa Bay advanced with just one point more than the second place team. Knowing that the team will have a target on its back as the defending National Champions, Tampa Bay has been training extra hard to prepare for what is to come. Not many teams get the opportunity to win or even compete for a National Championship, so Tampa Bay feels fortunate to have this chance to defend its title. So what sets apart this Tampa Bay team from the competition as it competes for a second straight National Championship crown?